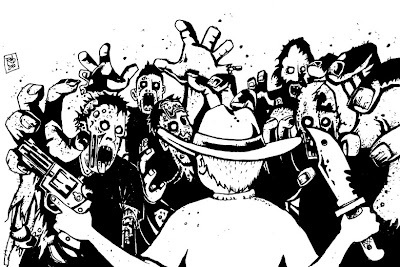 This week the 10t Sketch Challenge is "the walking dead", a zombie comic, that is unremittingly bleak. Just read vol11, and things are grim, grimmer than grim. Anyway, here's my attempt, at Carl, the young boy who's grown up with all this horror.